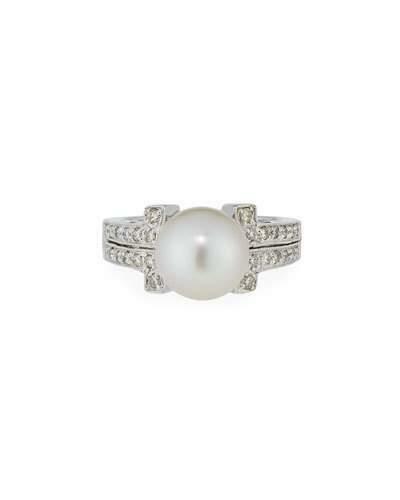 Belpearl ring in 14-karat white gold. 10mm naturally white South Sea cultured pearl. Tapered half-round shank with white diamond pav. Squared, split, milgrain-edged shoulders. 0.36 total diamond carat weight. Made in USA.